The collaboration with the Glasgow-based leading data and analytics provider will be among the first projects undertaken at the university’s new Blockpass Identity Lab, which uses cutting-edge blockchain research to drive innovation. A blockchain is a growing list of records or blocks, which is secured using cryptography and resistant to modification. The new research project aims to use the technology to overcome difficulties around the provenance of organic produce, reassuring consumers of ethical sources, countries of origin and producers in the journey from farm to table. In this application, blockchain technology can be used by countries like Scotland to protect and promote national brands on the international stage. The collaborative technology could also be used in further applications to follow supply journeys for raw materials from a variety of industries, connecting producers, distributors, regulatory bodies and consumers. The collaboration is supported by the Scottish Funding Council’s Innovation Voucher scheme, which is administered by Interface, who work with businesses to translate their ideas into dynamic briefs for academics. Professor Bill Buchanan, Director of the Blockpass Identity Lab, said: “Edinburgh Napier is keen to work with innovative companies like Eyecademy around blockchain to take full advantage of this new world we are creating. 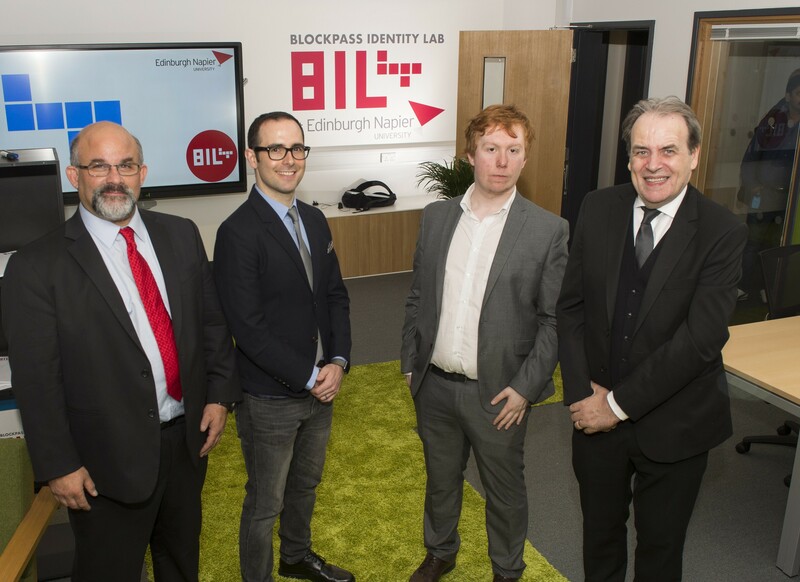 The Blockpass Identity Lab was built at Edinburgh Napier’s Merchiston campus as part of a £600,000 collaboration between the School of Computing and Hong Kong-based Blockpass, who are using blockchain technology to develop platforms which allow users to retain control of their personal data. Liam Bell, the lead blockchain researcher in the lab, said: “We are delighted to integrate Eyecademy into the lab, and will continue to work with them in the development of their product. Edinburgh Napier has a strong track record of success within the Scottish Funding Council’s Innovation Voucher programme. Dr Siobhán Jordan, Director of Interface, said: “There are numerous mutual benefits to business partnering with academics as demonstrated by Edinburgh Napier University and Eyecademy. Through tackling real-life challenges and opportunities, they can learn from each other and grow their knowledge and expertise.